With the Componi Uno They are used for lighting designers, because you can make the wall and ceiling lamp suits her. This freedom gives you the Italian manufacturer Cini & Nils but not only in the external design of the lamp, because the light can be directed according to your wishes and the needs and tastes change at any time. The Componi Uno, thanks to its interchangeable components, consisting of glass ring, disc, filter disc and lens, numerous, varied combinations. The individual components of the lamp function can thereby be easily attached to the housing and back reversed. The acquisitions of the individual components is optional, however, the Order for each lens down or up is highly recommended. The various lenses of Componi Uno create completely different light moments. It offers to you a range of indirect, stray or spot light, with a simple or szenografischem effect, in white, tinted or mixed. 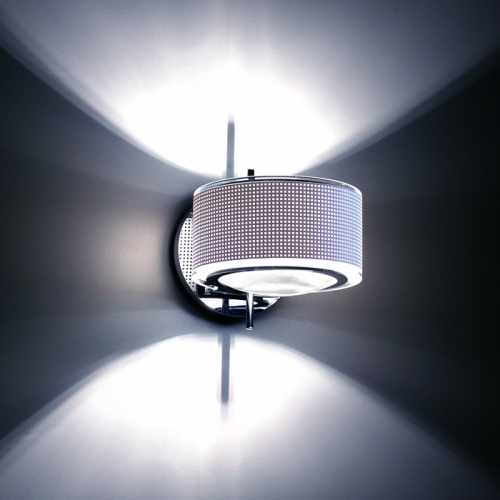 The individual design options for wall and ceiling lamp tops off a rotatable by 360 ° lamp head.